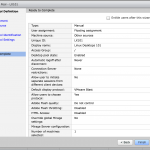 Since version 6 Horizon has the possibility to use Linux desktops for VDI. There are other ways to access your Linux, like VNC,NX, X-terminals, or even SSH if you only need a text based session. 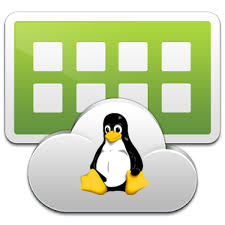 By using Horizon to deliver your Linux desktop you get the option to amp up your Linux virtual desktop with graphical power with GRID cards, unified access by using the same client for Windows and Linux desktops and more. The Linux desktop in Horizon was one of the things I had on my todo list, but today I finally managed to do it. So here it goes. Other version might work, nothing is guaranteed and certainly not supported. YMMV. When you get started with your Linux VM’s, make sure that everything works. Make sure you have installed your Connection Server according to the best practices and that you can ping it and can resolve it in DNS. 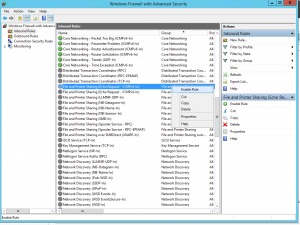 In my case I had to enable the Echo firewall rule in Windows Server 2012R2 and fix my backend.local DNS zone. 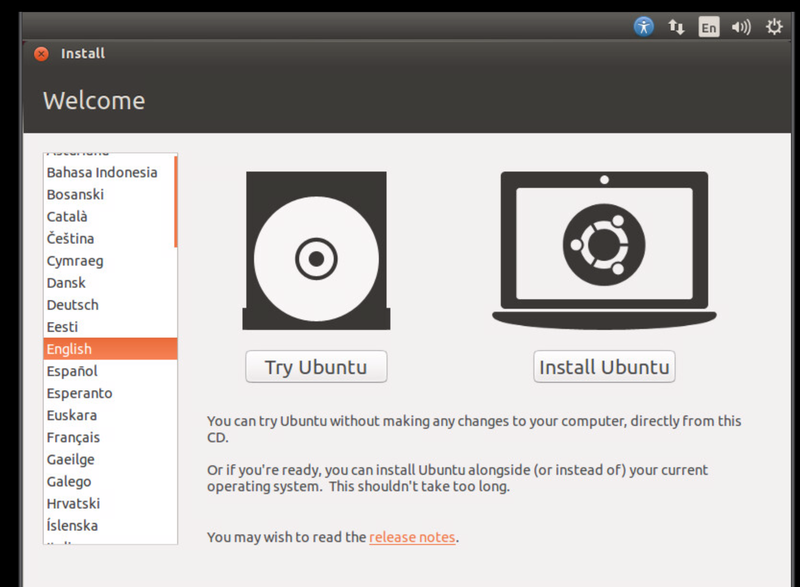 For the installation I used Ubuntu 14.04, which is the long time support release of Ubuntu. 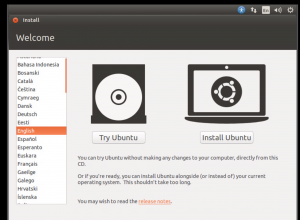 The installation of Ubuntu is pretty straight forward. Of course the configuration itself needs some tweaking here and there for your organization. 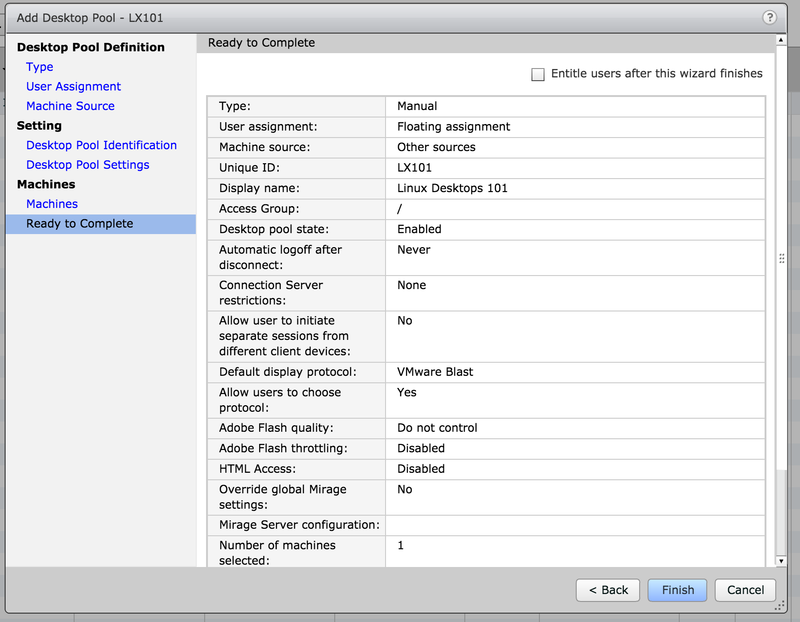 Remember though that you are creating a manual pool with multiple VMs in it, so every VM has te be created by hand. 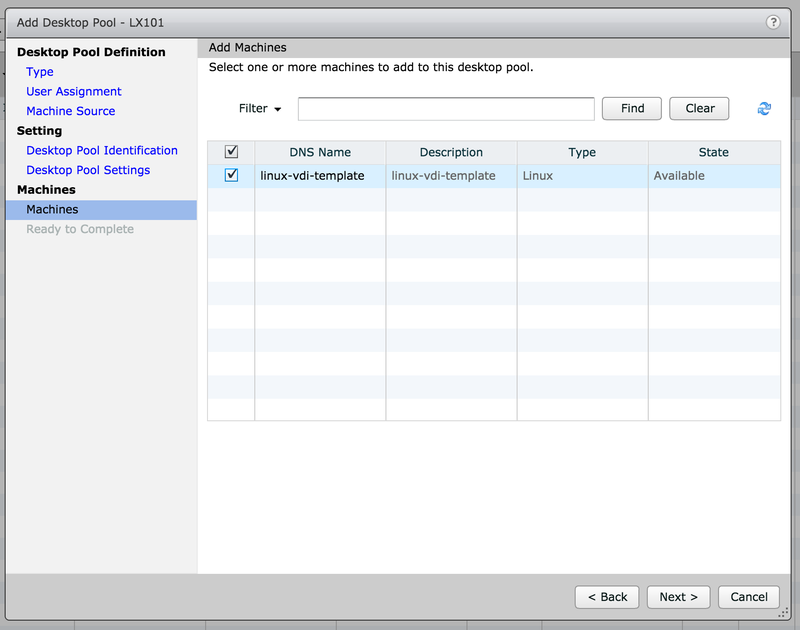 In the documentation of VMware on bulk deployment there are scripts to generate multiple Linux VMs. Make sure you use Gnome as your desktop manager. KDE isn’t supported with the Horizon agent. 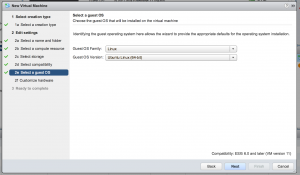 For a lot of Linux distributions you can skip installing the VMware tools, since the Open VMware Tools are part of the installation. Check KB 2073803 for more information on the distributions. 1. 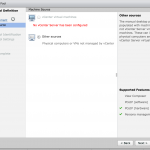 In vSphere Web Client or vSphere Client, mount the VMware Tools virtual disk on the VM. I used ‘df -h’ so the disk usage is shown in human readable format, but it isn’t necessary. 9. 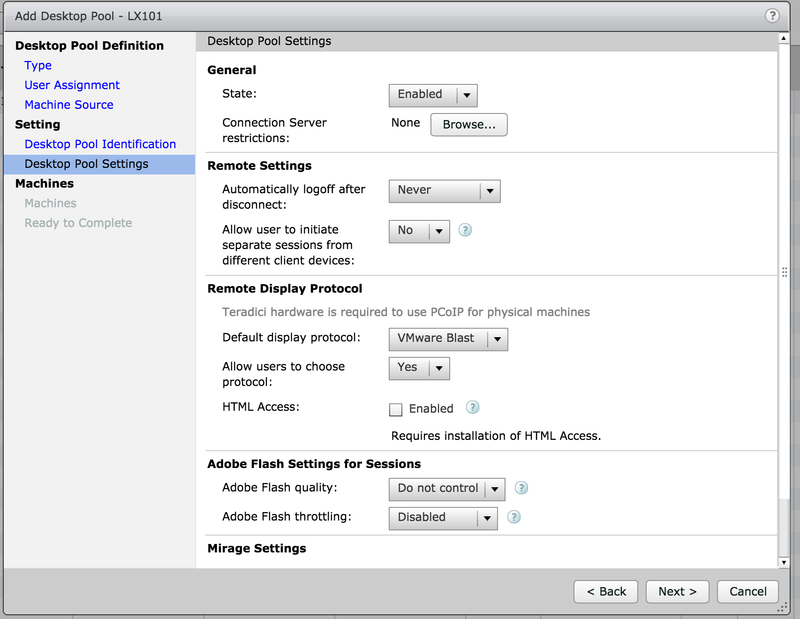 If you get a message on Open VMware Tools for your OS, double check if that is the case. Don’t forget to clean up the directory, since this is your master image. Before a Linux machine can be managed by Horizon 7, the machine must be able to communicate with Connection Server. There are also a couple of dependencies that you need to install. Which ones depend on the distribution. Check the complete list in the documentation. For my Ubuntu desktop I installed the update for indicator-session. 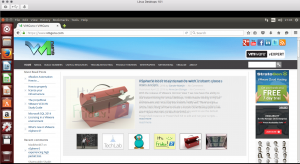 libexpat1 and libpng12-0 were already installed. I didn’t integrate the Linux desktop with Active Directory because this is only a demonstration of what you can do. 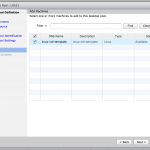 To use your Linux VM in Horizon you need to install the Horizon Agent in the virtual machine. 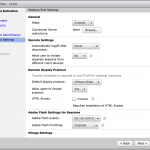 After downloading the agent from the VMware site you have to place it somewhere you can reach from your Linux VM. I copied it to my homedirectory from my laptop with scp. 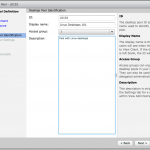 Where -b is the connection broker, -d is the domain of the administrator account and -u is for the administrators user account itself. The -k is for the domain controller where the user account resides (Kerberos). After accepting the EULA you are prompted for the password of your administrator account. If you have trouble registering the agent, check your DNS settings. Next to the password having characters that you need to escape not being able to connect to the connection manager by name is often the issue. 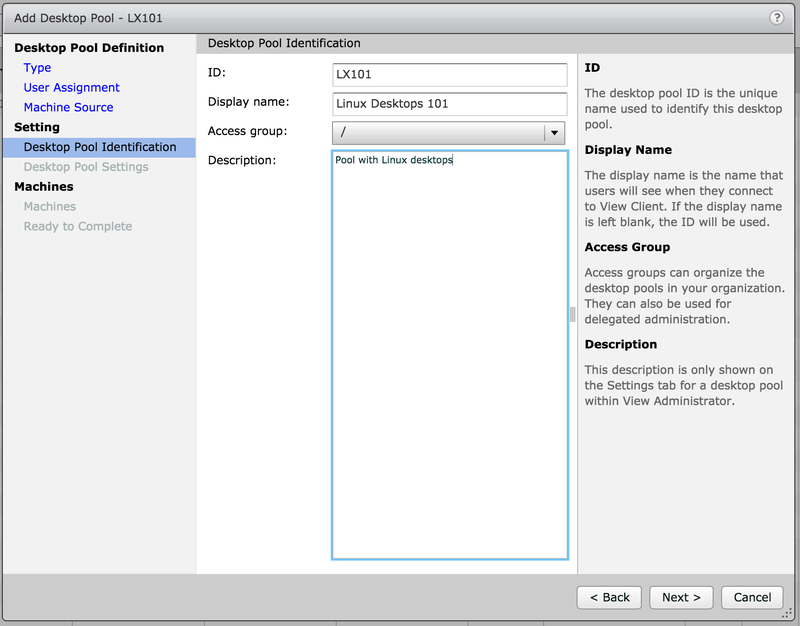 After a reboot you’re ready to create a new desktop pool and add the VM to this pool. Now you entitled users for the desktop pool it is time to connect to the desktop pool. 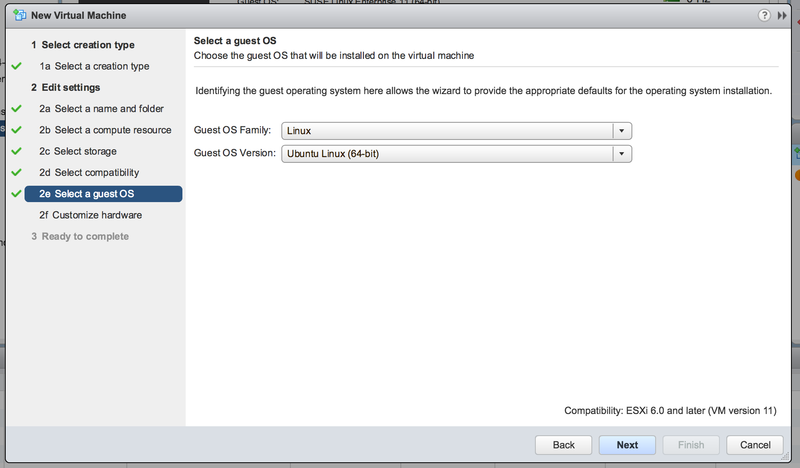 If all goes well you can to the Linux virtual desktop with your Horizon Client. 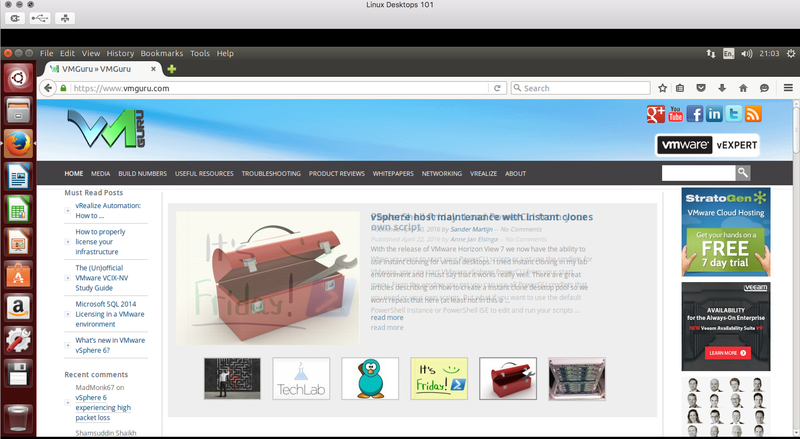 i did this w/ ubuntu 12.04 and centos 7. I just can’t get the agent to register. it never shows up in View Administration. Any ideas? Ports? What error message do you get when registering the machine? Check out the logfiles for the agent if there is any hint on what is going wrong. ■ The View Connection Server FQDN, domain name, user name, or password that was provided during View Agent installation was incorrect. ■ The View administrator user does not have the Agent Registration Administrators or Administrators role in View Administrator. Specifically, the Register Agent privilege is required to register View Agent with View Connection Server. Agent Registration Administrators is a restricted role that provides this minimum privilege. ■ The View administrator password contains a special character, such as $, that was not escaped with a backslash. 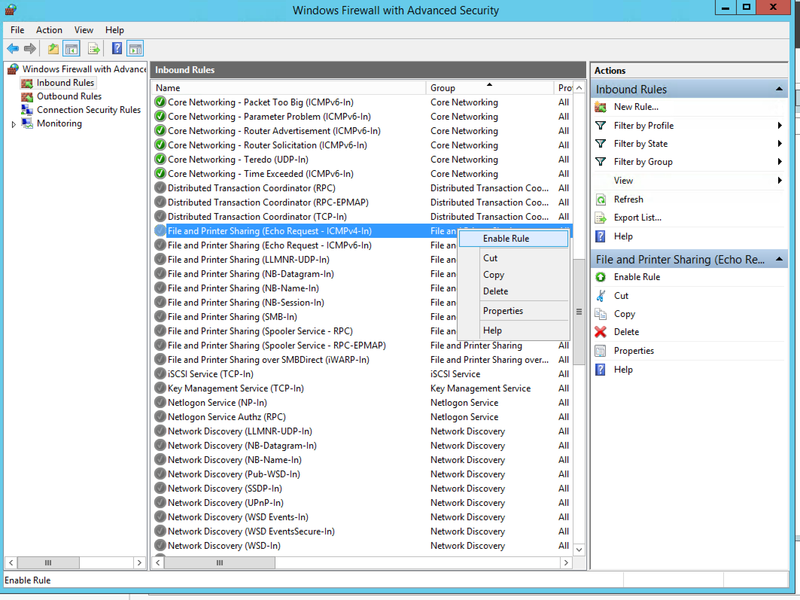 ■ Reversible password encryption was not enabled on the Windows Server 2012 or 2012 R2 Active Directory (AD) server. In my case I forgot to configure the reversible password encryption for the account. I’m trying to figure out how to install the Linux View Agent without a broker – has anyone figured out how to do this yet? 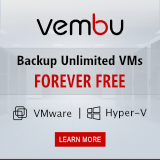 Hi, This might be a dumb question but I can’t seem to download the Linux Agent anymore.. Do you need to be a paying VMware customer to get it? Been there and yes, they don’t allow it for download anymore. I’ve been jumping through hoops with 2 VMware sales guys and they told me they will get in-touch me soon to sort it out, but not after doing all the usual pre-sales qualifying interviews. All good now, we got copies from vmware sales guys. At first they sent us the 6.2.1 version and has just recently provided the 7.2 version as well. 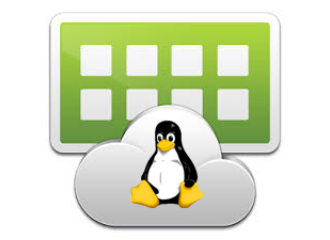 It really does seem that we need to get in-touch with vmware sales to get the Linux Horizon clients in our region. Thinking it might be a compatibility issue, we got our hand on the 7.2 agent and it installed fine with the viewagent service running. However, we can’t see it in the view connection server. 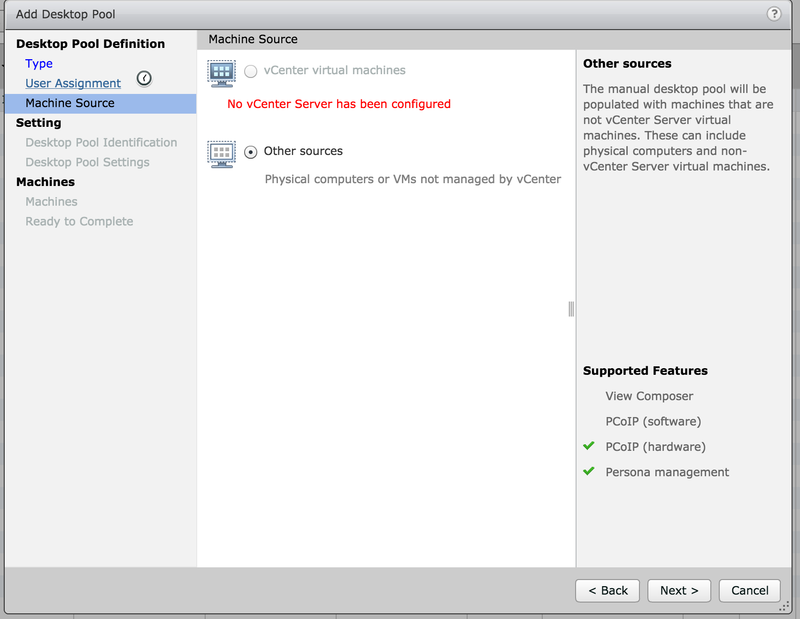 VCS can ping the vm and vice versa. Logs don’t appear to tell that something is wrong. How are you adding users to the VM upon initial login from that user?